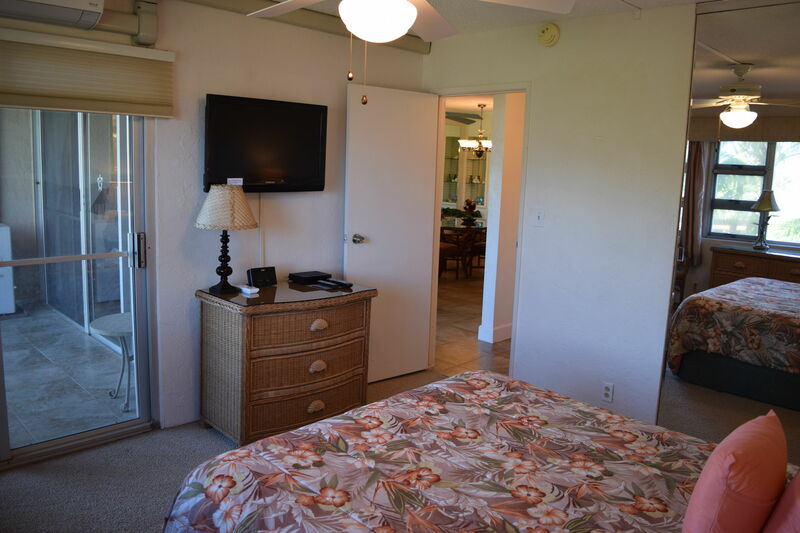 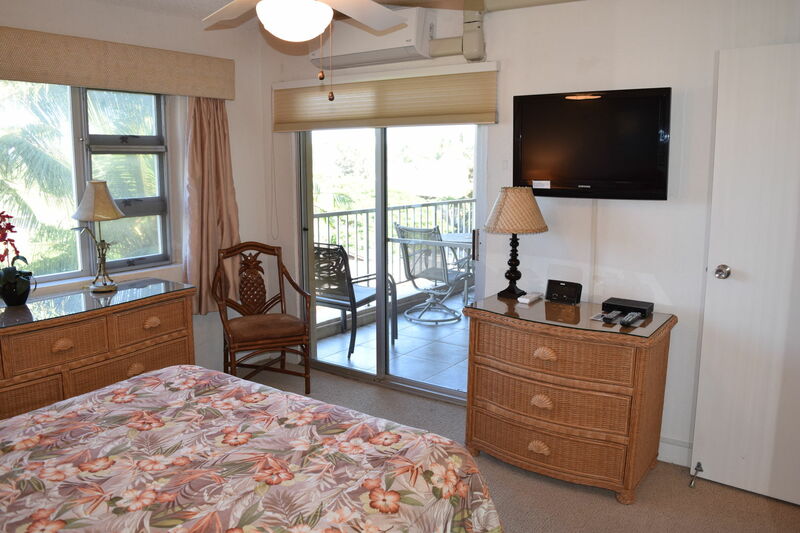 Menehune Shores 402 is a 2 bedroom, 2 bath deluxe condo with views of the ocean and mountains in a lushly landscaped oceanfront community. 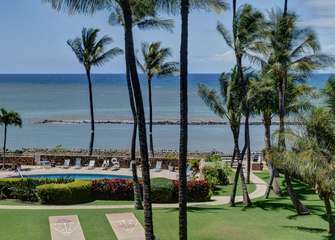 The beach in front of this beautiful complex offers safe swimming for children in reef-protected surf and oceanfront pool. 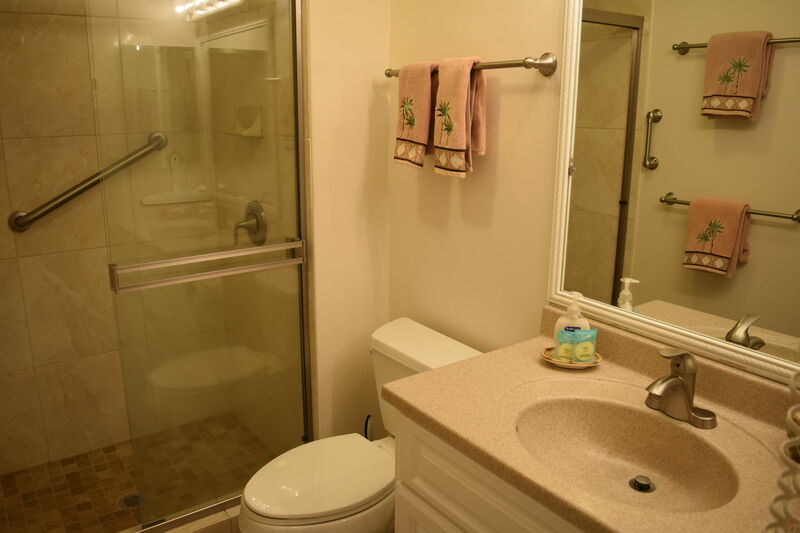 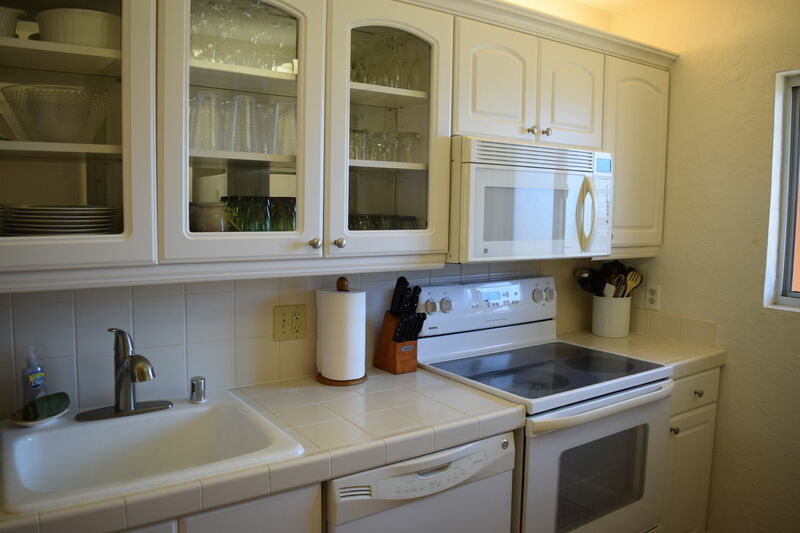 This unit is tastefully furnished and equipped with full modern kitchen, washer/dryer, air conditioning in the living room and both bedrooms, wifi, entertainment system, and phone service. 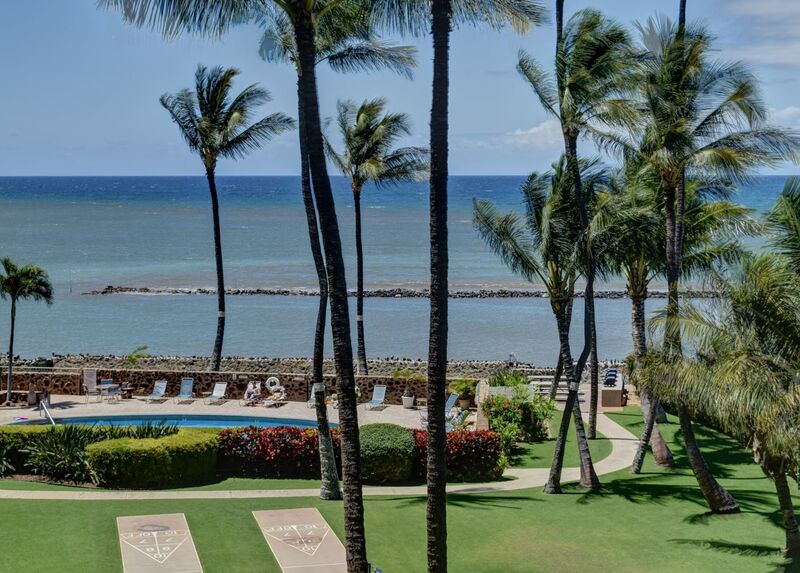 Enjoy breathtaking panoramic views from the rooftop BBQ and picnic area, shuffleboard on the palm-tree lined lawn, and an on-site beachfront restaurant and cocktail lounge. Jog or stroll and whale-watch along miles of white sand beach. 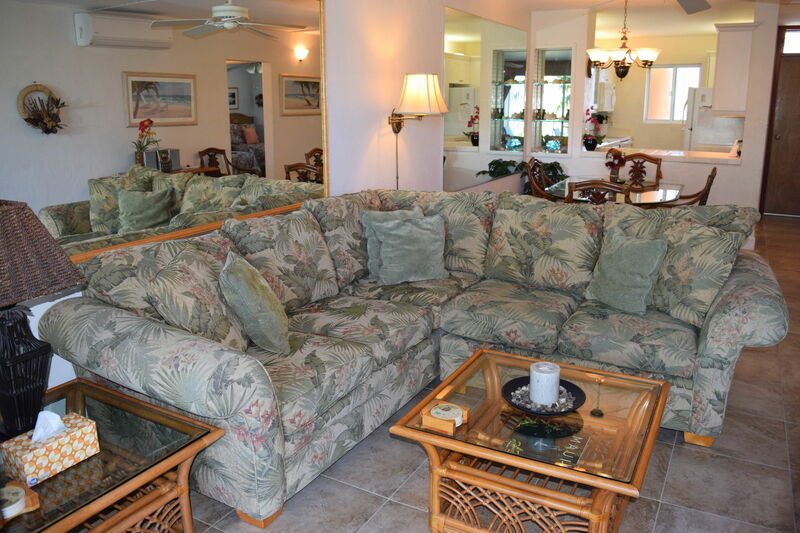 Living Room: This bright and open living room has plenty of seating for you to sit around and enjoy a movie or the tropical views outside. 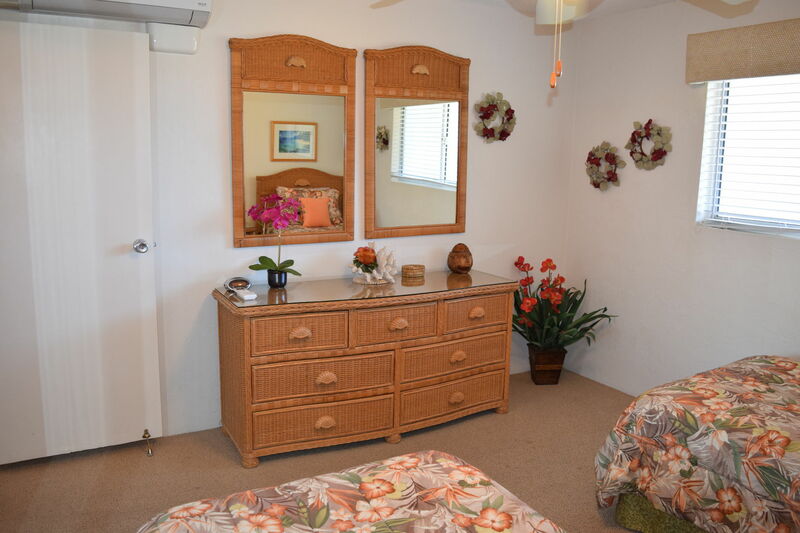 You will love coming back to this property and being able to relax in this room. It is open to a dining area with a large table and seating for 6. 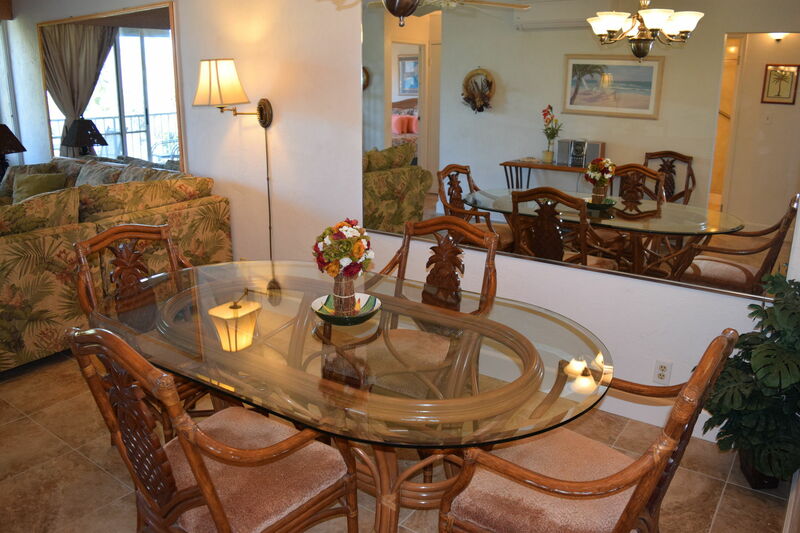 Gather your family or group around this table for some quality bonding time. 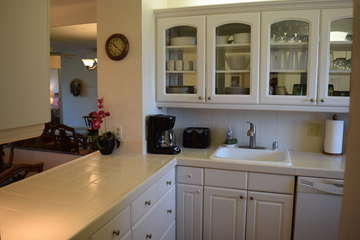 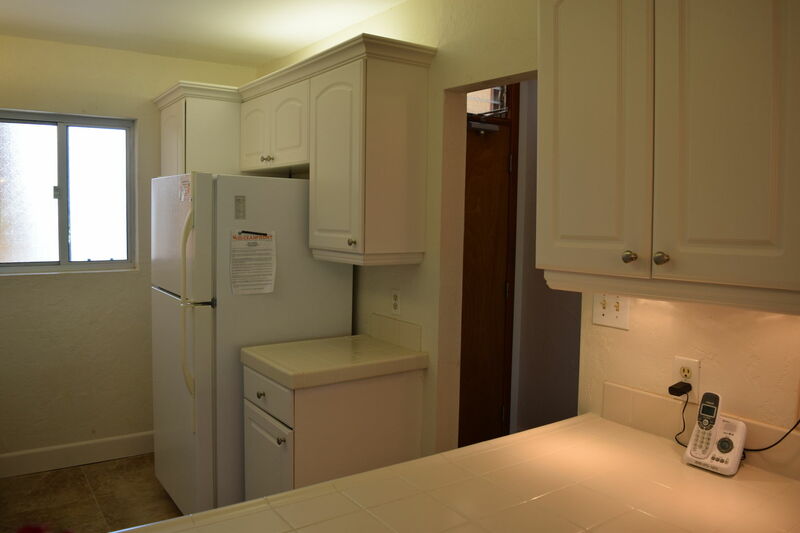 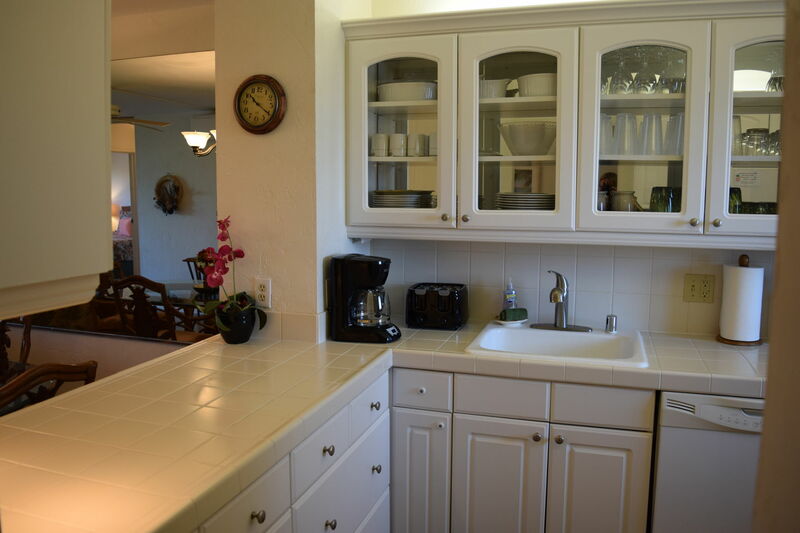 Kitchen: This fully equipped kitchen has everything you need to make an easy snack or gourmet meal. 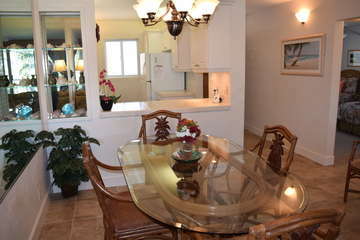 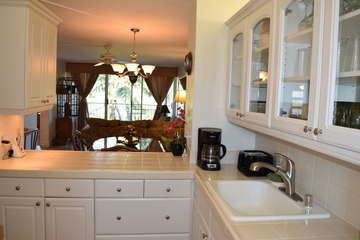 This kitchen opens up to the dining area making it easy to serve food and accessible to the other areas of this condo. 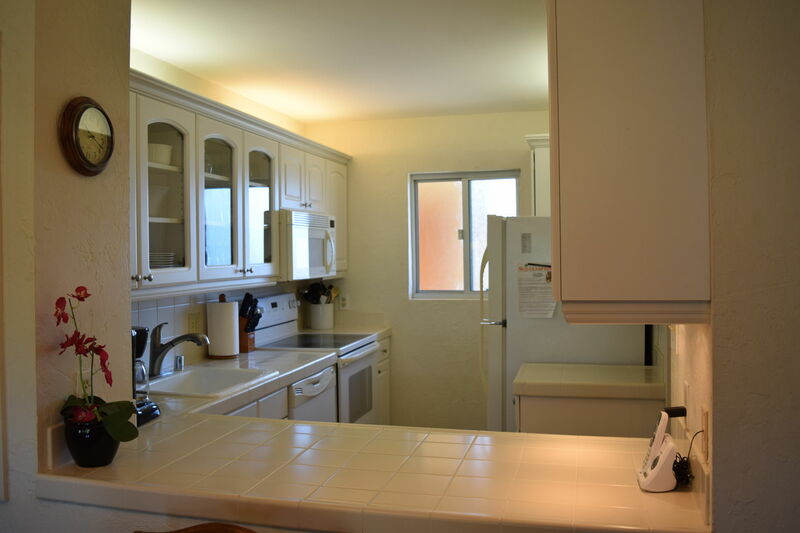 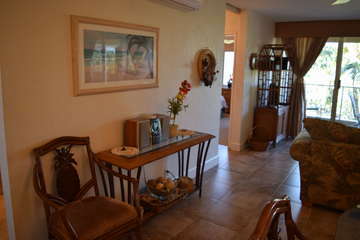 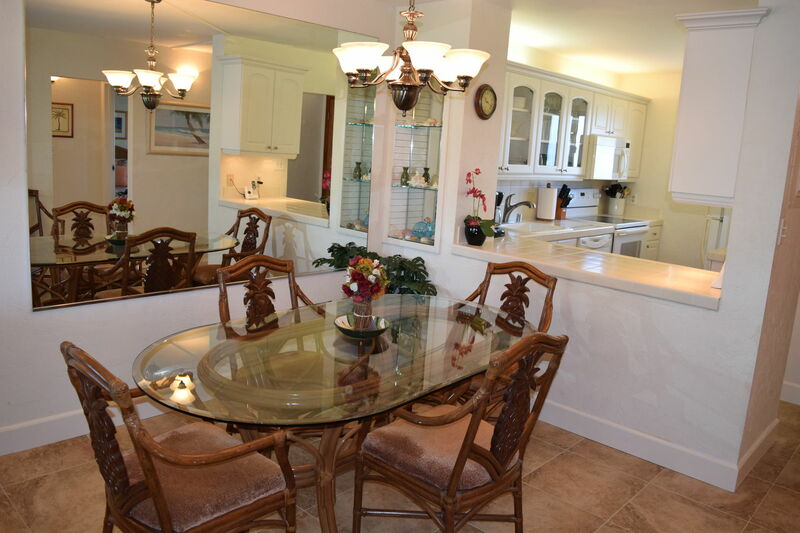 You will love having a full kitchen while you are traveling in Maui. 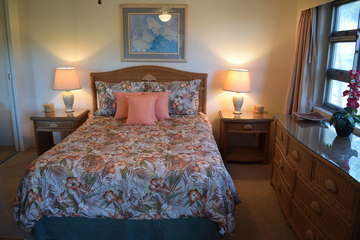 Master Bedroom: Wake up to a beautiful ocean view when you stay in this room. 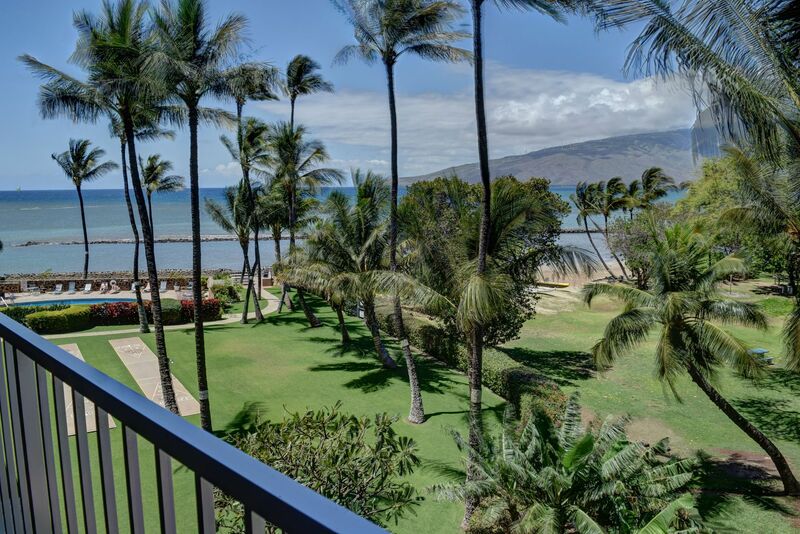 You will love being able to look outside at the palm trees and ocean from your bedroom. 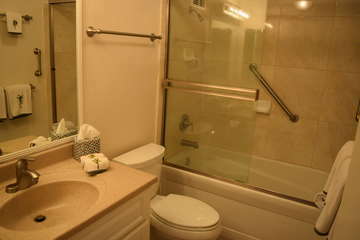 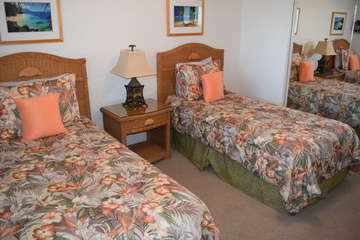 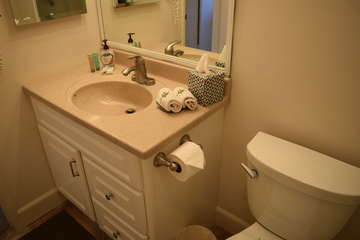 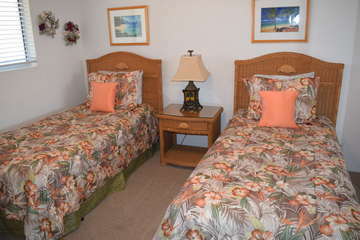 Equipped with a queen bed, dresser, closet, private bathroom, and flat screen TV. 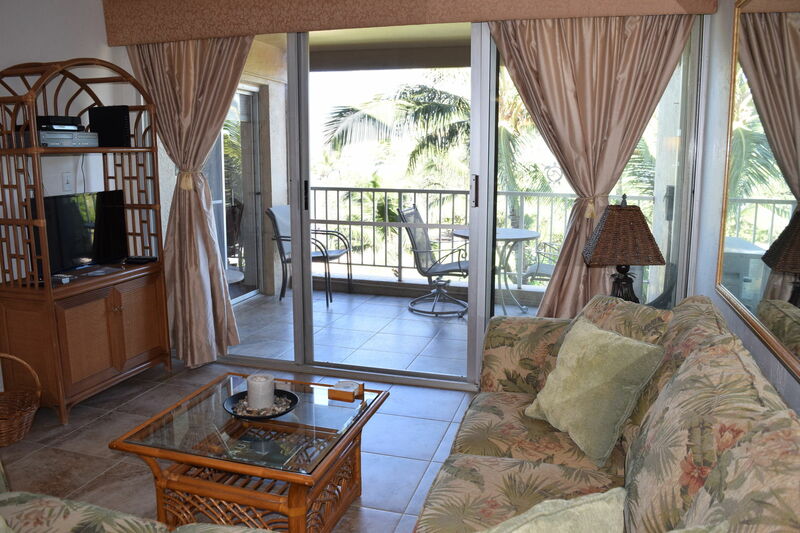 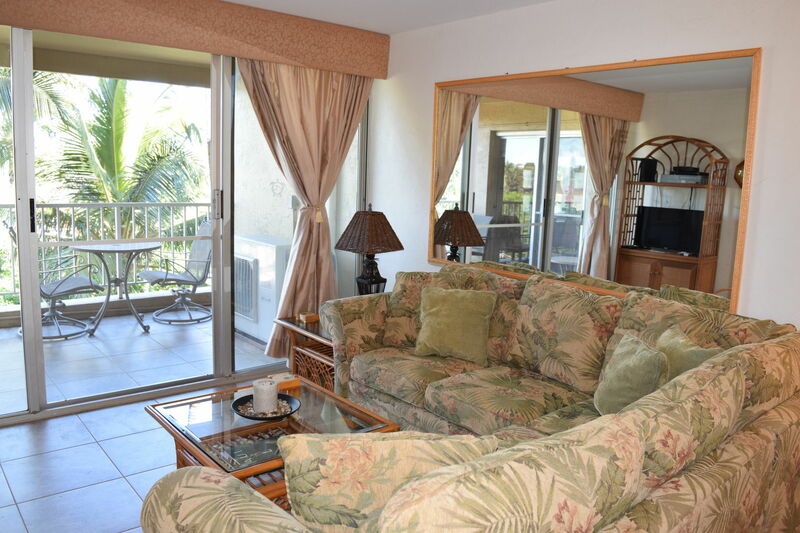 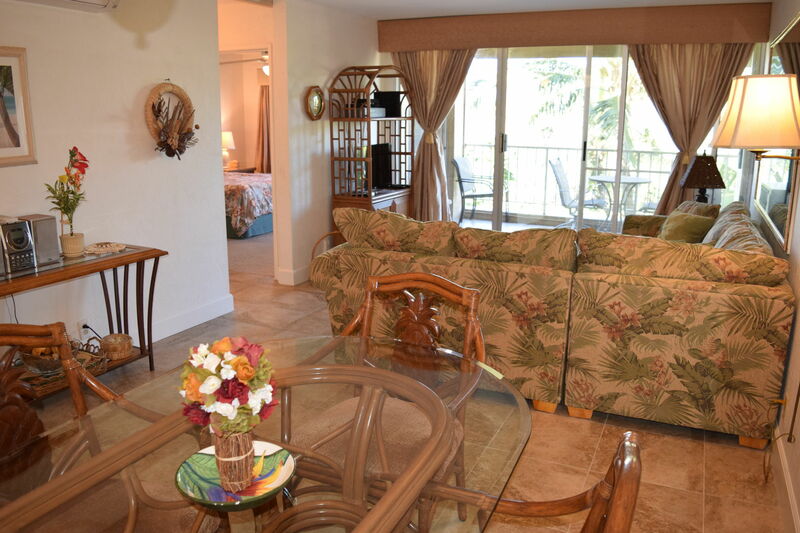 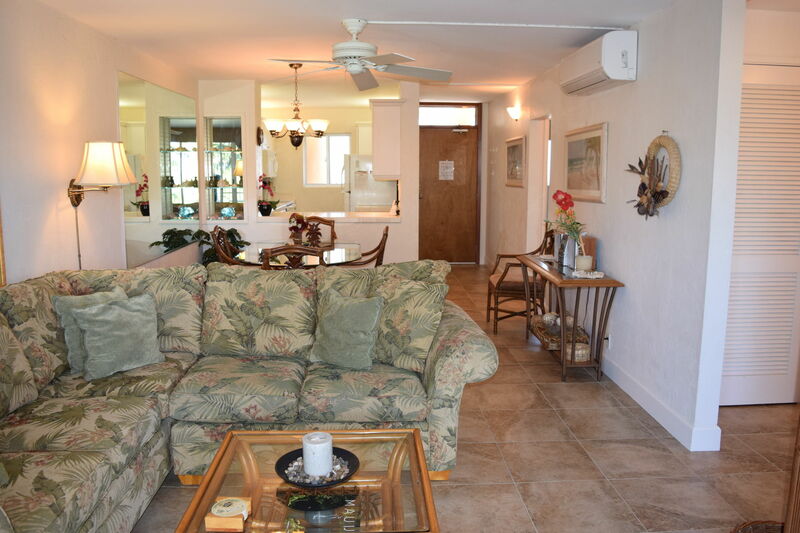 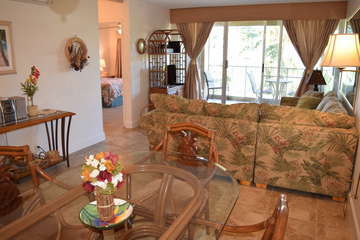 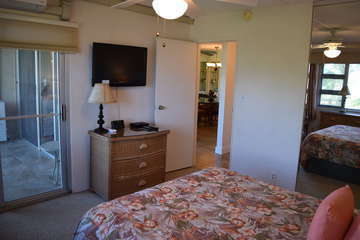 This room also features a private walk entrance to the lanai! 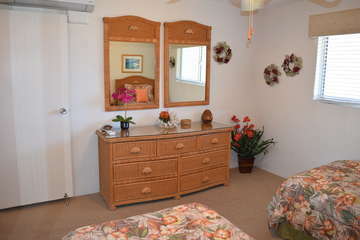 Guest Bedroom: This bedroom has 2 twin beds, a large closet, dresser and plenty of room to spread out. 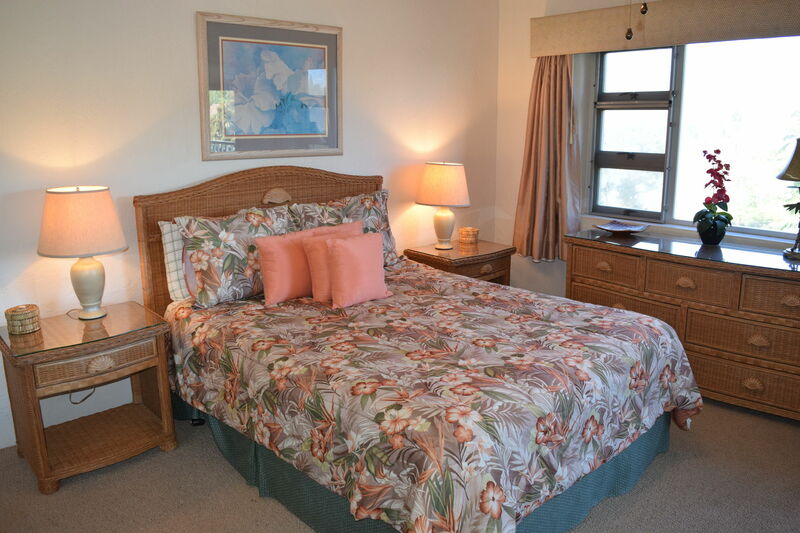 You will love staying in this room with views of the mountains and palms. 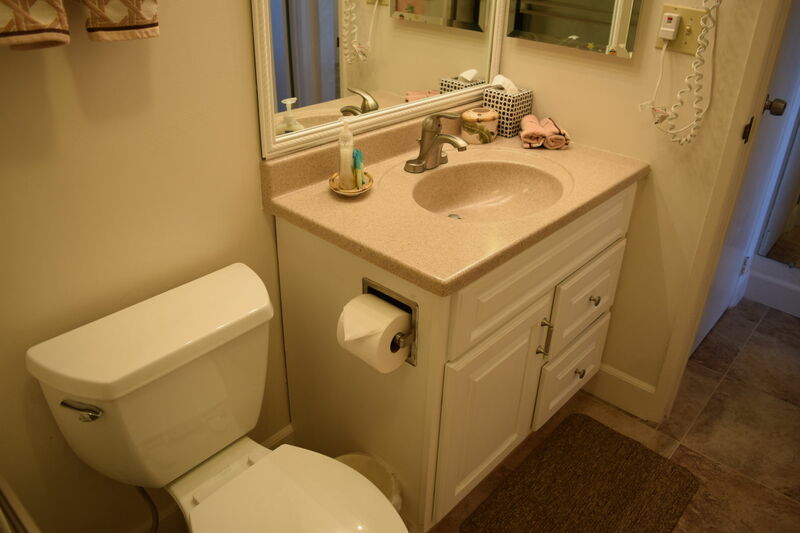 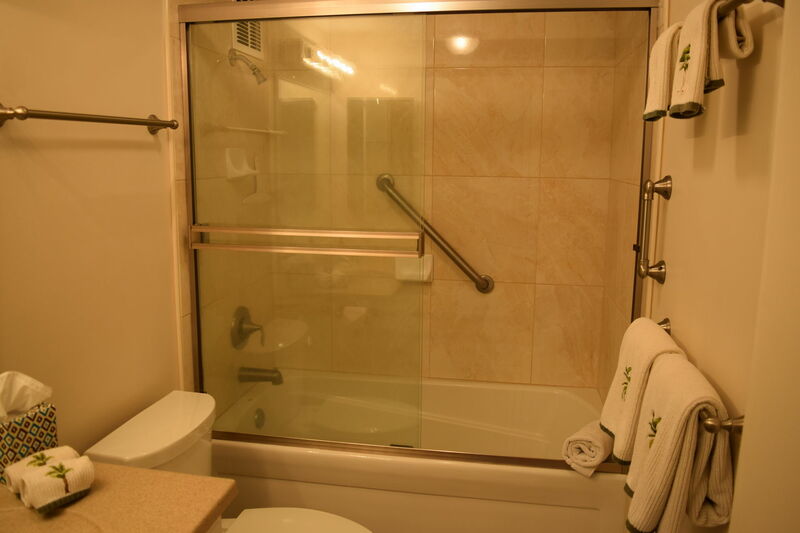 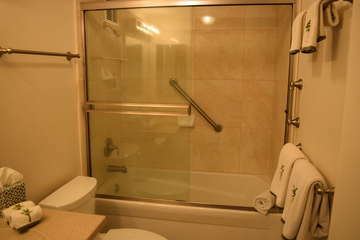 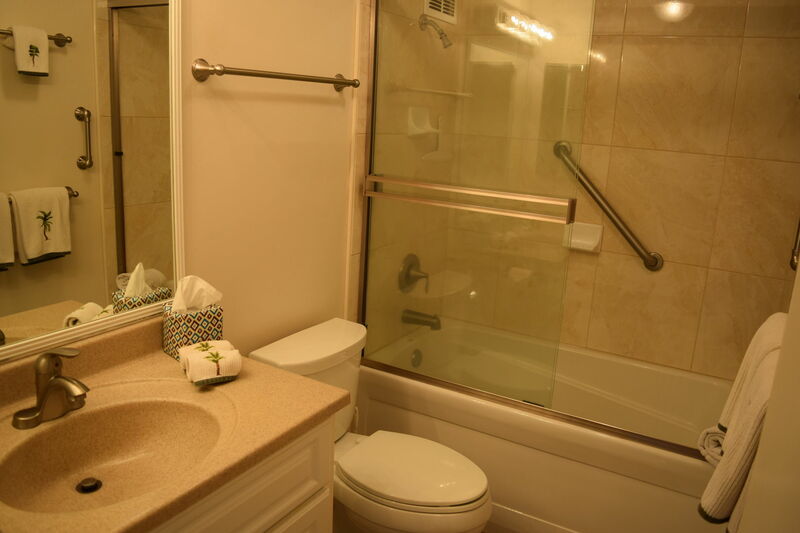 Also easily accessible to your own full bathroom. 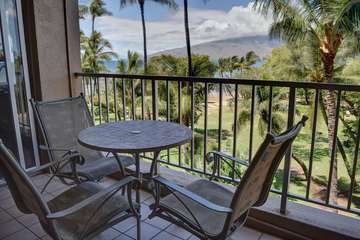 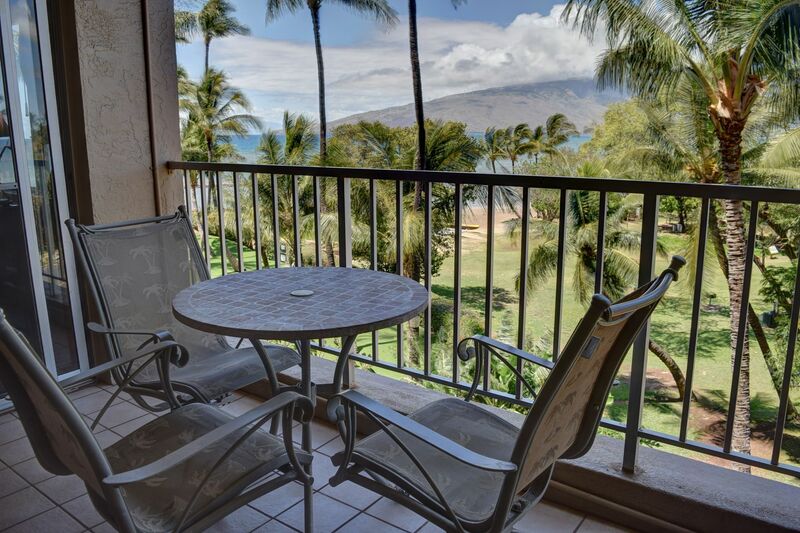 Lanai: This amazing lanai features ocean, pool and tropical views! You will love relaxing out here in the ocean breeze enjoying a cocktail! 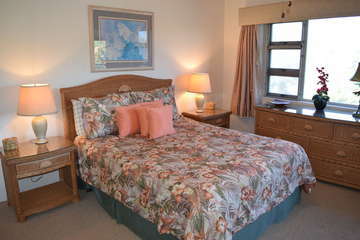 You will be able to see unbelievable sunsets and the whales jumping all from the privacy of your own lanai!